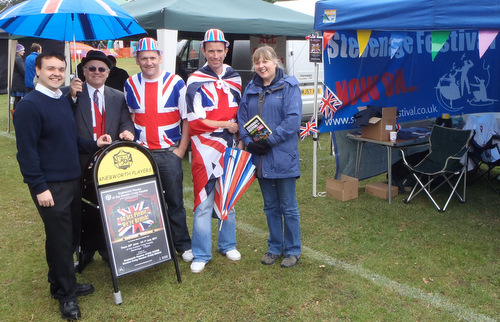 Stephen McPartland spoke to many of the stall-holders and others at Stevenage Day on 12 June. 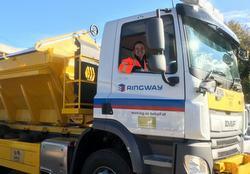 He is also supporting the Stevenage Festival and will be at the Carnival. Stephen is pictured here with the Knebworth Players who will be performing as part of Stevenage Festival at the Gordon Craig theatre. Following on from the opening of its new Stevenage office only last September, Streets Chartered Accountants, is pleased to announce that they are to merge with the well established Stevenage based practice ISA Accountants. Stephen McPartland, MP for Stevenage, will be opening the Gala Day in support of the Armed Forces Day on Saturday 25th June at 11am in Stevenage Indoor Market. The Gala Day is a fun-filled charity event in aid of the armed forces. There will be many different stalls, including Help for Heroes, NGVFA, SSAFA Forces Help, The Royal British Legion, live entertainment, plus much, much more. The gala day will run all day in the Stevenage Indoor Market, from 8:30am until 5:30pm. Stephen McPartland MP for Stevenage is endorsing the Hertfordshire Young People of the Year awards, or the “YOPEYs”. 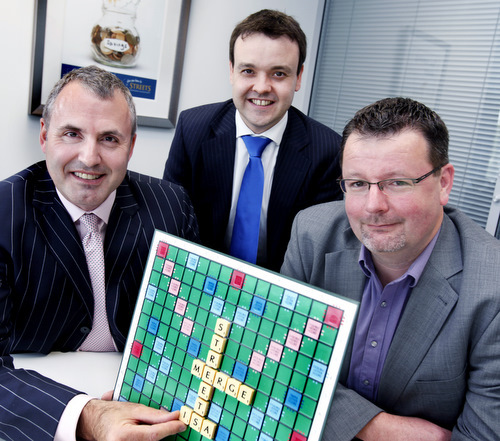 Now in its seventh year, the YOPEYs has £2,000 in prize money to reward young people, aged 10-25, who are good citizens. This year’s YOPEYs is open for entries until 31 July 2011, so if you know anyone that deserves to be nominated, or yourself, then go to the YOPEY website. Stephen McPartland MP for Stevenage highlighted the Herts is Ready for Winners partnership for the 2012 Olympic Games as part of a visit to the Houses of Parliament. 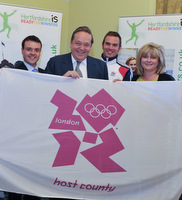 Stephen is pictured with the host county flag for Hertfordshire presented by LOCOG, the London Organising Committee of the Olympic and Paralympic Games. As well as the opportunities in the run up to the games and the 2012 events, the partnership's focus is also on the legacy ambitions for Hertfordshire for 2012 and beyond. 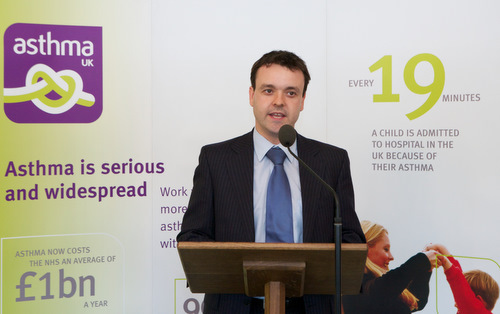 Stephen McPartland MP has pledged his support for Asthma UK’s campaign for higher standards of care in Stevenage and around the country to reduce asthma deaths. As chair of the All-Party Parliamentary Group on Asthma he hosted a reception for MPs in Parliament. 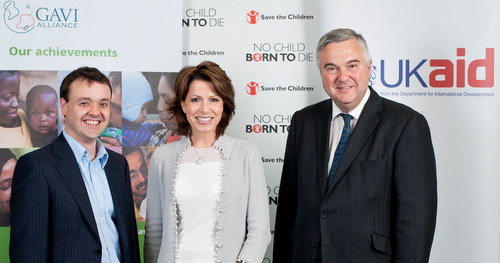 Stephen McPartland, MP for Stevenage, joined Natasha Kaplinsky, broadcaster and Save the Children Ambassador, and Alan Duncan MP, the Minister of State for International Development, to highlight how international aid for immunisation against the world’s deadliest diseases can help save the lives of over 4 million children by 2015. Stephen commented, "Pneumonia is the largest killer of children under the age of five in the world. It is vitally important that we help developing countries fight this disease and save the lives of millions of children." He added, “I am delighted that Stevenage plays such a big part in this process as GSK have made the vaccine available in an affordable manner and the government is committed to focusing international aid on projects that save lives." The event hosted by the All Party Parliamentary Group (APPG) for Global Action against Childhood Pneumonia and the Global Alliance for Vaccines and Immunisation (GAVI Alliance) highlighted the crucial work, which is made possible by the aid contributed by the UK and other national governments. MP for Stevenage, Stephen McPartland, along with representatives from Barclays Bank, Wagstaffs Accountants and Wenta gave a seminar on setting up your own business to some of North Hertfordshire College’s students. Stephen explained to the students that many businesses in Hertfordshire are small, with only a few employees, and that the Government is encouraging those businesses to grow and take on more staff. 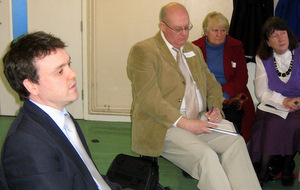 Some of Stevenage’s 7,000 carers gave MP for Stevenage, Stephen McPartland, an insight into the reality of caring for someone close, when he made a fact finding visit to local charity Carers in Hertfordshire’s Carers Count Meeting at the Oval Community Centre. Stephen said: “I was very pleased to listen to the experiences facing carers in Stevenage and was keen to hear exactly how they felt. My priority is to stand up for local people and get them the best deal possible and I found the meeting very useful. There are a number of points that I am going to look into in more detail and I will continue to stand up for carers in Parliament”.